Our non-halogenated flame retardants provide environmentally more compatible protection for buildings, electric and electronic equipment as well as textiles and other materials used in airplanes, trains, busses and ships. Clariant’s portfolio is based on phosphorus chemistry, with production sites in Knapsack, Germany, Muttenz, Switzerland and Lufeng, China. Clariant's flame retardants are all marketed under the trade name Exolit®. Plastic components in contact with electrically live metal parts are subject to more and more stringent fire safety regulations. With our sustainable non-halogenated flame retardant Exolit® OP, smartphones and laptops are effectively protected against overheating. For more information please read our Exolit® OP Innovation Spotlight Story here. What are flame retardants good for? Flame retardants are an essential element for the safety of products around us. To see where and how flame retardants act and how they can save lives please click here. Exolit OP 12xx and 13xx – with x designating a digit: Based on phosphinate chemistry, these flame retardants are especially suited for demanding applications in the electric and electronic sector. There are optimized formulations for engineering thermoplastics like polyamides (Exolit OP 13xx and the latest addition Exolit OP 1400 (TP)) and polyesters (Exolit OP 12xx). The Exolit OP 93x series was developed for epoxy resins in printed circuit boards and other adhesive and thermoset applications. Ammonium polyphosphate - a polymeric flame retardant material - is the basis for the Exolit® AP product family, which, as a result of modification and synergist mixtures, covers a very broad application spectrum. Exolit AP 422 and Exolit AP 462 are high-quality additives for intumescent coatings. Even at layer thicknesses of less than 1 mm they achieve fire resistance times of over 30 minutes. Apart from the protection of steel structures in buildings, application areas include cable and wood. In addition, the fire properties of textiles and papers can be improved with intumescent coatings based on Exolit AP. In the case of thermosets like epoxy resins and unsaturated polyester resins, Exolit AP 422 paves the way for the production of lightweight components with low solids content. In polyurethane rigid foams that are used e.g. for insulation purposes by the building industry, low smoke density in a fire and avoiding flame retardant migration are important criteria. PUR Foams with Exolit AP 422 can also be recycled. Combined with synergists, ammonium polyphosphate becomes highly effective in polyolefins (polypropylene and polyethylene). The whole Exolit AP product family is characterized by extremely low smoke density. Exolit AP is non-toxic, and does not accumulate in the environment, since it is (bio-)degradable by breaking down to naturally occurring ammonia phosphate. Exolit AP 420 is an approx. 45 % clear to cloudy aqueous solution of a short-chain ammonium polyphosphate. The Hordaphos® product group encompasses a range of phosphoric acid esters. The Hordaphos grades are produced by the reaction of phosphorus pentoxide or polyphosphoric acid with an alcohol, whereby a mixture of mainly mono- and diesters and small amounts of triester and phosphoric acid is obtained. A phosphoric acid ester is as acidic as phosphoric acid and has similar phosphatizing properties. Due to the additional alcohol chain it is far less corrosive. The ionic phosphate functionality imparts antistatic properties to the molecule. Furthermore, when combined with a long chained alcohol the substance (e.g. Hordaphos 222) can be given strong dispersing properties. Thus, depending on the chain length and branching of the alcohol, the Hordaphos grade can be emulsifying, foam regulating, dispersing, wetting, dissolving, etc. As multifunctional additives they are used especially in household and professional cleaning products, but also in pigment pastes, paints, coatings, cosmetics, in formulations for metal working and metal cleaning, in textile production, crop protection, mining etc. Depending on the Hordaphos grades, the substance acts as a mild acid, corrosion inhibitor, brightener, antistatic agent, wetting agent, dispersing and/or emulsifying agent. We are experts in creating solutions for our customers' needs. Clariant is a leading producer of phosphorus pentoxide and polyphosphoric acids in Europe. These raw materials are widely used in the production of surfactants as well as organic intermediates for the color, pharmaceutical and vitamins industries. Further applications are cleaning, plasticizing and the usage in specialty synthesis. Starting from white phosphorus we manufacture inorganic products such as red phosphorus, phosphorus pentoxide and polyphosphoric acids. Our organic phosphorus products include various phosphate esters used for cleaning and plasticizing as well as derivatives of phosphonic and phosphonus acid used for specialty synthesis. 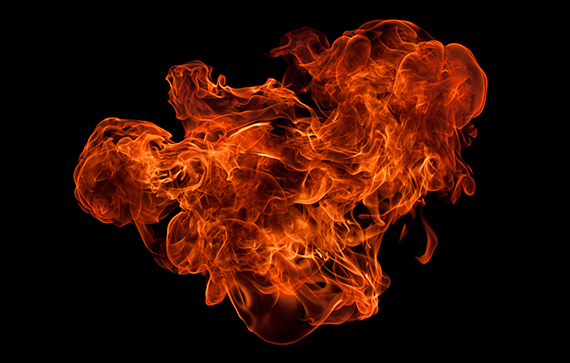 In the course of developing new flame retardants and formulations we carry out flammability tests in our laboratories in Knapsack and Gersthofen, Germany. To our customers, we also offer flammability testing as a service, e.g. In our laboratory at Knapsack, Germany, we can compare the performance of a range of different intumescent coating formulations using standard fire tests. Thereby, we can support our customers in developing new formulations for meeting new standards or challenges in fire safety requirements. For more information please get in touch with us. Clariant is a founding member of the organization for non-halogenated Phosphorus, Inorganic and Nitrogen Flame Retardants, PINFA, a sector group of Cefic, the European Chemical Industry Council. pinfa is the Phosphorus, Inorganic and Nitrogen Flame Retardants Association and is a Sector Group within Cefic, the European Chemical Industry Council. pinfa represents the manufacturers and users of non-halogenated phosphorus, inorganic and nitrogen flame retardants (PIN FRs). The members of pinfa share the common vision of continuously improving the environmental and health profile of their flame retardant products. Therefore, pinfa members seek to dialogue with the users of PIN FRs in order to identify their needs and technologies they are looking for. pinfa also co-operates with national & supranational organisations (EU, OECD, United Nations) & other industry associations, consumer organisations & non-governmental organisations and will ensure the development of scientific knowledge related to the whole life cycle of PIN FRs. pinfa works in close cooperation with its sister association pinfa North America, the North American Phosphorus, Inorganic and Nitrogen Flame Retardants Association located in USA. The in 2012 under the umbrella of bauforumstahl e.V. organized IGSB (Interessengemeinschaft Stahl-Brandschutzbeschichtung) has set itself the target to offer information and support about modern fire protection systems. It sees itself as a competence center related to fire protection for steel applications. A team of experts is available to provide support and advice to all interested parties. Visit IGSB on www.igsb.info. The attached brochure is currently only available in German. An English version will follow.